The Italians have their Pane Dolce, the Mexican have their Pan Dulce, and the Cubans have their own version of these delicious sweet bread that they call Pan Suave. These sweet rolls are commonly used in Cuban Medianoche sandwiches, but also good eaten by itself or with a little bit of butter. Dissolve yeast and 1 tablespoon of sugar and 3 tablespoons warm water in a large mixing bowl. Set aside and let sit for 5-10 minutes until the yeast turns foamy. Add the remaining water, sugar, vegetable oil, salt, and all but 1 tablespoon of the beaten eggs. (Beat the remaining egg with a pinch of salt and store in the refrigerator until needed). Add flour to the mixing bowl, one cup at the time and continue kneading the dough until it's stiff enough to pull away from the side of the bowl. Transfer the dough to a floured surface, continue kneading for about 6-8 minutes, adding more flour as needed, until the dough turns pliable but not sticky. Transfer dough to a lightly oiled bowl, cover with kitchen towel and let rise in a warm place, about 1 to 1 1/2 hours. Punch down the dough, divide into 12 equal pieces. roll each piece with the palm of your hands to form a ball (or a tube with tapered ends). 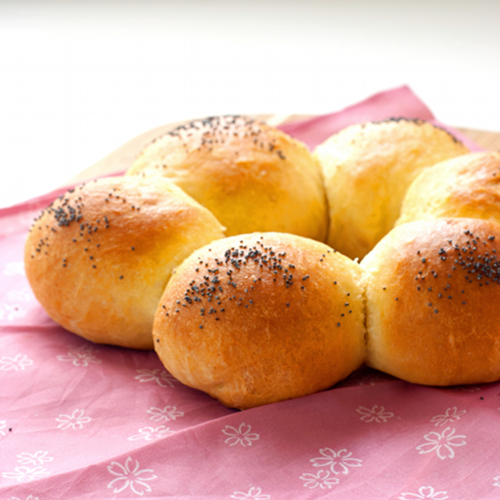 Arrange the rolls on a lightly oiled baking sheet, leaving about 3-inch of space between each. Cover with paper towel and let rice for another hour. 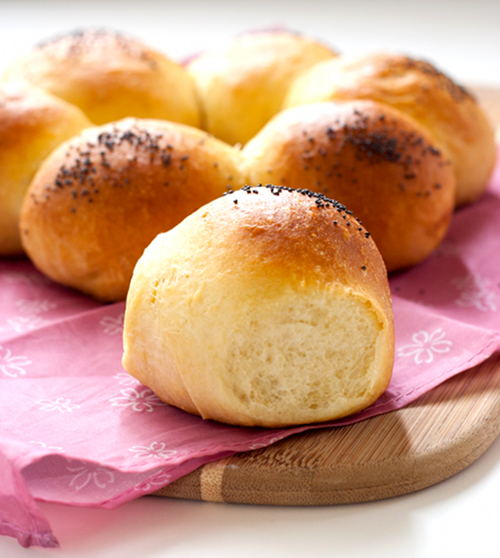 Preheat the oven to 350 degrees F. Brush the top of the rolls with reserved egg glaze. Sprinkle with sesame seeds/poppy seeds. Bake for 20-30 minutes, or until golden brown and hollow sounding when tapped. Remove from the oven and cool down for 5 minutes. 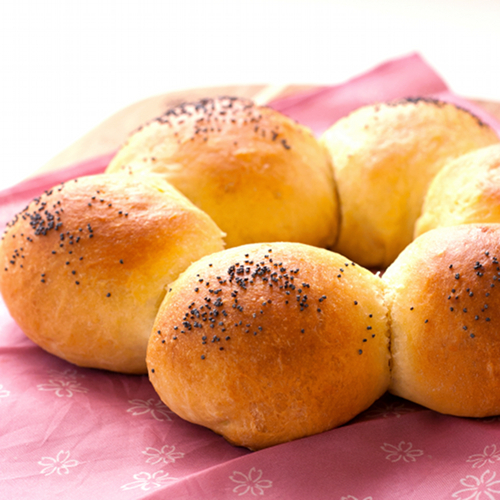 Brush the rolls with melted butter. Serve warm or at room temperature. Recipe was taken from Taste of Cuba website. Mmm, this looks delightful :) I'd love a warm roll! Cuban? That's me! I gotta post a Media Noche, have not done one yet. I am a bad Cuban. Fantastic job with the rolls. I can probably polish off about 12. I wish I could get Medianoche sandwich anytime. Unfortunately here in northern CA, Cuban food is a little difficult to find. I need to search harder (or learn to make some myself). Yup. They're soft and sweet. Those rolls look just spectacular! Now I need to make a medianoche...my mouth waters just thinking about it. Me, too. I want medianoche now. I love that so many cultures have their own variation of the same dish. This looks wonderful! They look too pretty! And tasty! do you think these would support having fruit put inside?